It seems as if general manager Brian Cashman doesn't believe Bryce Harper will be a member of the New York Yankees during the 2019 season and beyond. 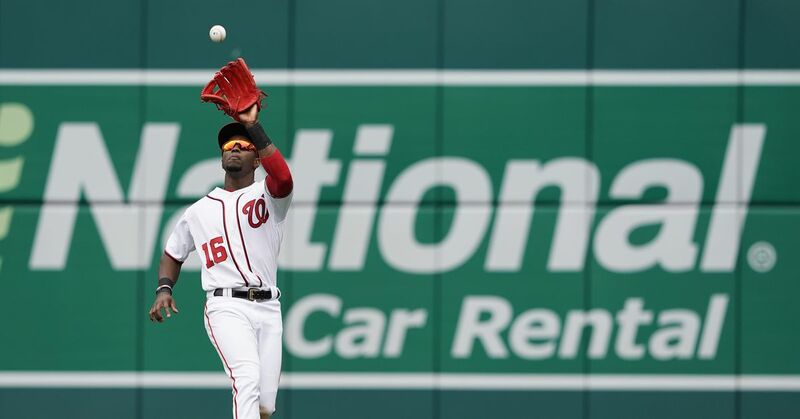 According to reporter Bryan Hoch, the GM suggested Harper isn't an ideal fit for the American League East squad because it already has six outfielders and it isn't "realistic" to play the free agent at first base. The Yankees may have some financial concerns as well. Jon Heyman of Fancred reported the team won't give free-agent shortstop Manny Machado a $300 million contract even though there is an opening at the position with Didi Gregorius recovering from Tommy John surgery. Harper already rejected an offer for 10 years and $300 million from the Washington Nationals, suggesting it could take even more to land him. Jon Morosi of MLB Network reported Nov. 19 that adding starting pitching was "a higher priority" than Machado or Harper even after the Yankees traded for James Paxton. Committing a megadeal to Harper could limit their chances to outbid teams for top-notch starters. The Yankees had no shortage of offense during the 2018 campaign, even without Harper. They blasted a regular-season record 267 home runs. As Cashman noted, they have a crowded outfield with Aaron Judge, Giancarlo Stanton, Aaron Hicks, Brett Gardner, Jacoby Ellsbury and Clint Frazier, and only one of them can play designated hitter on a given night. They also have Luke Voit and Greg Bird to play first base, although the fact that Harper has appeared at first base one time in his entire career, per FanGraphs, is probably of more concern. Still, Harper is a generational talent who is just 26 years old. He slashed .249/.393/.496 with 34 home runs and career-best 100 RBI in 2018 and already has a National League MVP (2015), NL Rookie of the Year (2012) and six All-Star Game nods on his resume. He is one of the biggest free-agency prizes Major League Baseball has ever seen, and interested teams apparently don't have to worry too much about the Yankees.